Problems with the drainage system can bring a halt to all activities within the house. When the sewer drain clogs, the water and waste released does not flow as it should and this in turn results in a foul smell and flooding. In case you experience a clog in your drainage system, then it is advised to call professionals and immediately stop using it until a correction is done. Drain Cleaning in Apache Junction, AZ should be done occasionally but some only perform this when there is a serious problem. 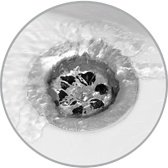 If you experience any of the following problems, then you must have a proper drain cleaning done. Usually, the water on the sink or bathtub should drain away immediately. In a clogged drainage system however, the water takes a significant amount of time before completely draining away and thus, the drain should be cleaned to solve this problem. Clogging of the drainage pipes causes the smell form the waste to come back up and this causes a lot of discomfort within the house. Professional Drain Cleaning in Apache Junction, AZ is important therefore to remove the clogged waste and the bad smell as well. The water may fail to disappear once you use the sink or tub. Additionally, there are times that you may use the sink and then the water comes up on the bathtub instead of draining away. This is a sign that the pipes are clogged and therefore require urgent drain cleaning to solve the problem. Flushing solid objects down toilet may end up clogging the drainage system. This in return will cause messy flooding and foul smells. For this reason therefore, you should immediately call professional Drain Cleaning in Apache Junction, AZ to remove the objects and thoroughly clean the drain.